This target is for testing flare according to the ISO 18844 standard (part c). It includes a mylar photomask with black patches to minimize reflection. 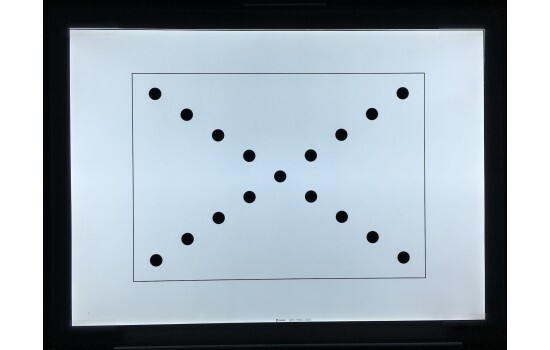 The chart is mounted on clear acrylic for ease of use with the Imatest LED Light Panel Size C.
The ISO 18844 Flare Test Target is a mylar photomask with black patches added to minimize reflection. 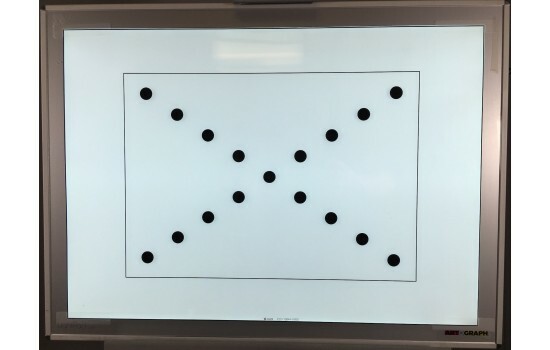 The test chart is mounted on clear acrylic for ease of use with the Imatest Light Panel Size C. Chart size 17.95 x 12.87" (456 x 327mm) fits into the rails of the Size C Light Panel, with diffuser panel size of 17 x 12" (432 x 305mm). To obtain valid measurements, the chart must be photographed in a completely darkened environment. Any reflections on the surface of the chart will invalidate the results. 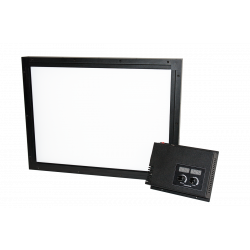 Review the Operational Guide for the Lightpad 950.